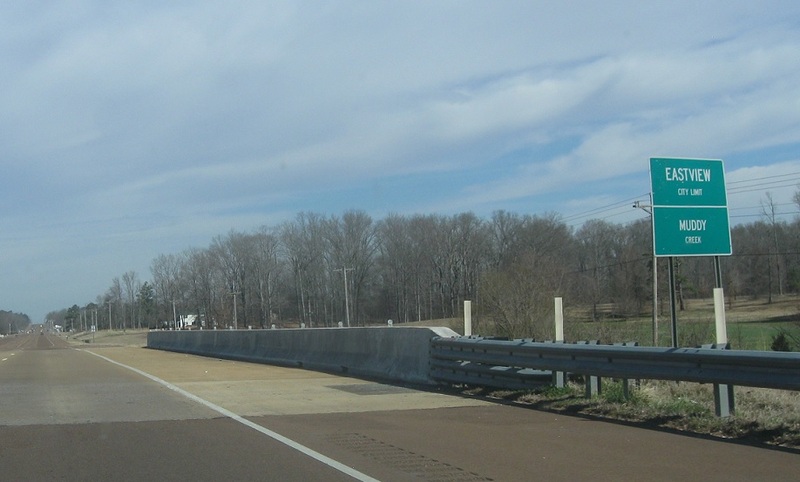 Reassurance shield as 45 enters Tennessee. 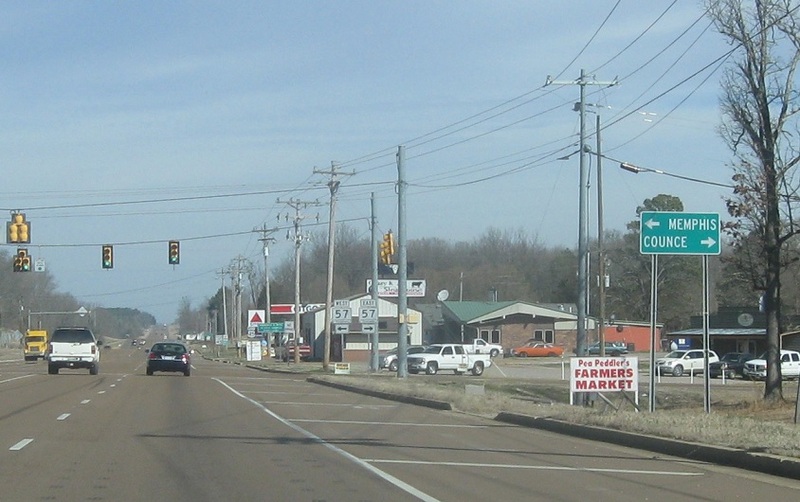 45 and its branches are mostly divided highway throughout western Tennessee. 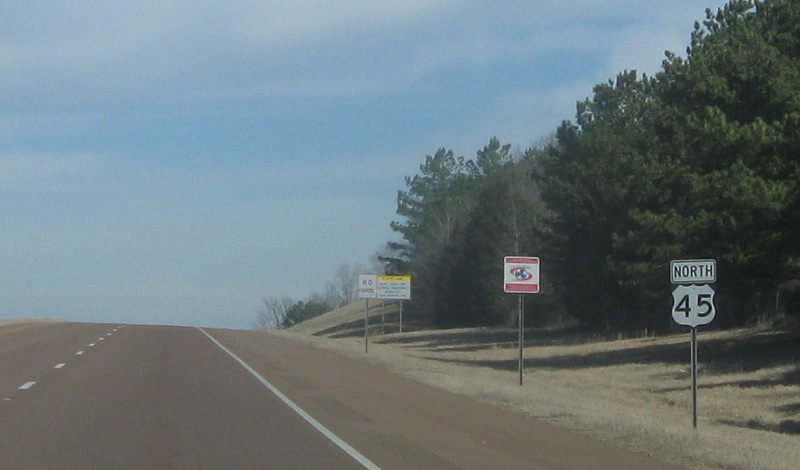 Reassurance shield about a mile into the Volunteer State. 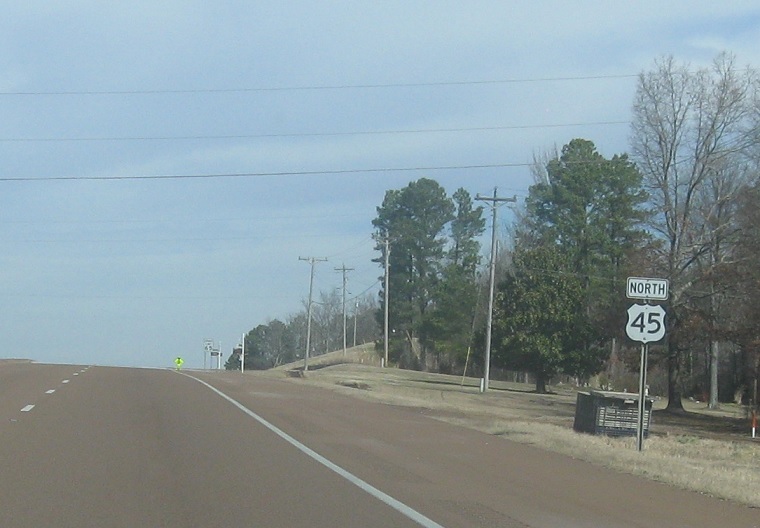 About a mile later, as we cross Muddy Creek, we’ll enter Eastview. 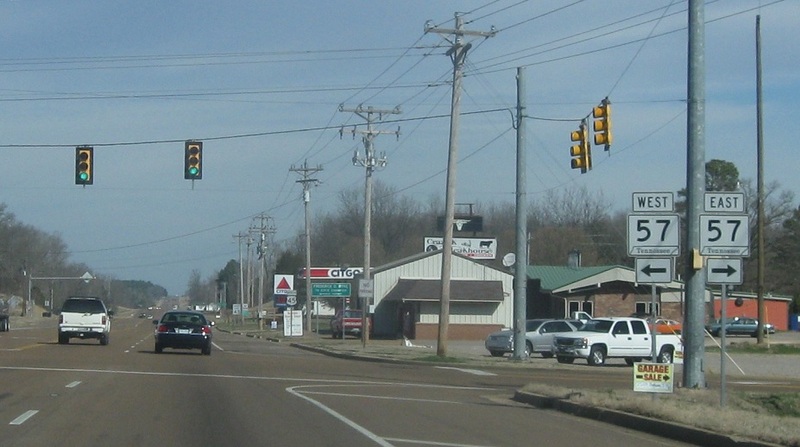 In Eastview, we’ll approach SR 57. 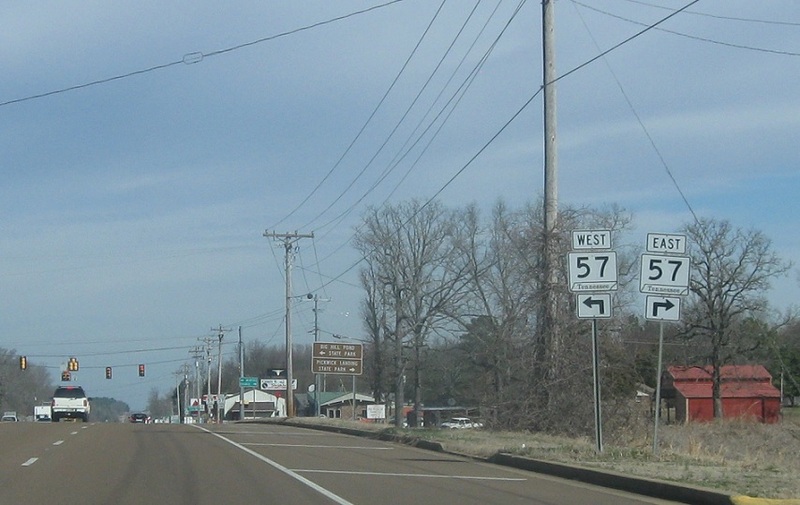 Turn right for 57 east and left for 57 west. 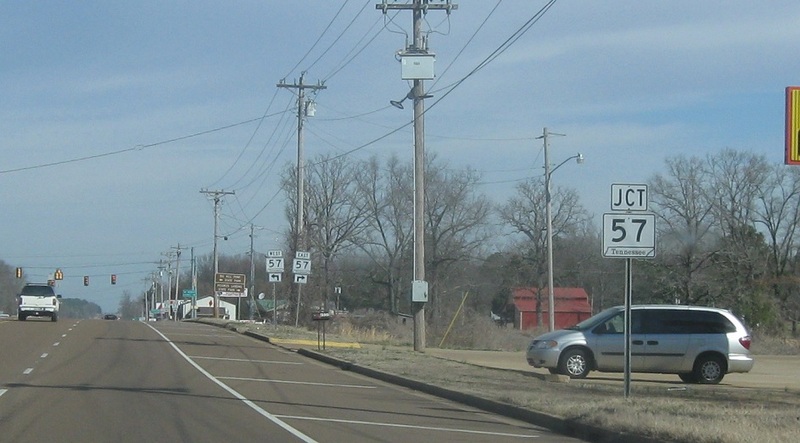 Follow 57 east to Counce and 57 west to Memphis. In case you missed the last two signs.